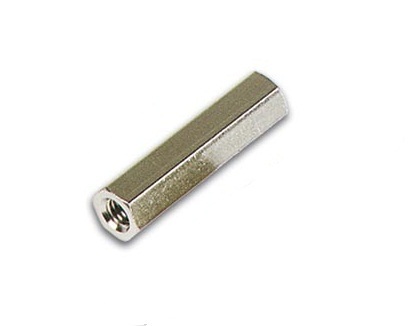 A M3.0 female - female distance piece 20mm long. Manufactured from hexagonal bar. It has internally tapped screw threads, (from either end).